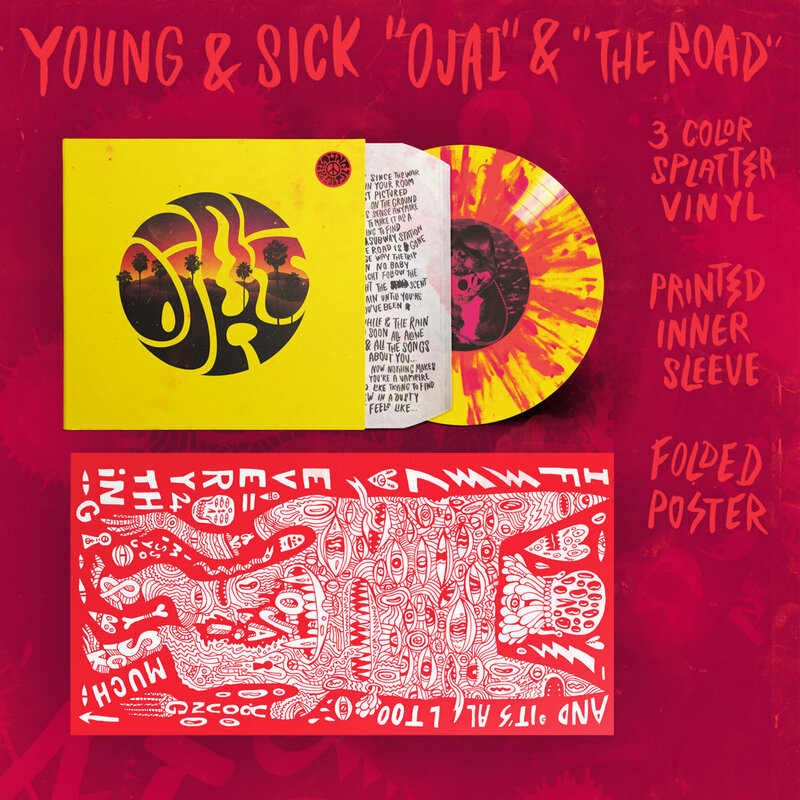 This is a 7" release from Young & Sick, featuring the tracks "Ojai" and "The Road"on three-color splatter vinyl with printed inner sleeve and collector's edition poster. You might recognize Young & Sick as the visual artist for VINYL MOON Volume 031: The Nature of Inner Space, but he's also an accomplished musical artist in his own right. If his visual art is a depiction of a giant party, his music is the soundtrack, containing everything from dancefloor-filling opus to the ballad that brings everyone together in a giant shoulder-to-shoulder group hug. And this 7" happens to include both of those extremes.